Until 1999, The Collegian at Fresno State was produced daily. That spring, it became a publication that informed students three days a week. And in 2016, the paper cut its print product to two days a week. The downward trend in printing was not a choice that editors of the then-Daily Collegian or the editors of The Collegian of 2016 made because they wanted to. They needed to. The Collegian has survived on the Fresno State campus for 96 years. On its front page it has reflected the changing face of the campus over the years. Within its pages it has reported on the joys and difficult times of studying or teaching at this university. 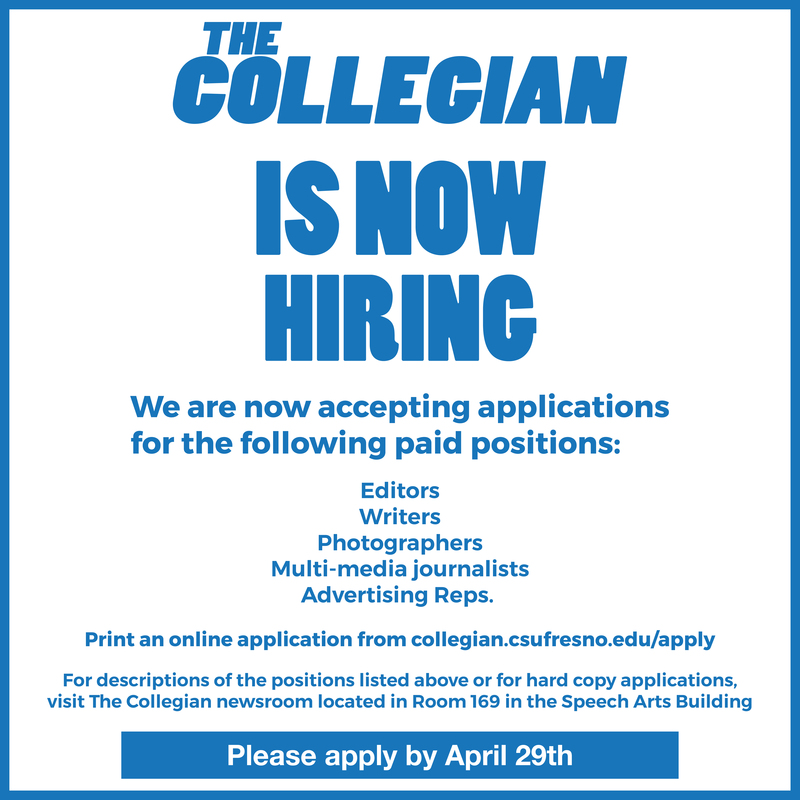 The Collegian has seen hundreds of students come in and out of its doors as student editors, reporters, photographers, artists, multimedia personnel, advertising managers and salesmen. Behind closed doors is the painstaking job of putting together the paper – many times until 2 a.m. Different advisers over the years have overseen the operation of The Collegian. And although you only see us in print twice a week, our work is still done daily. Our web platform and social media mirror our printed content and a little extra. 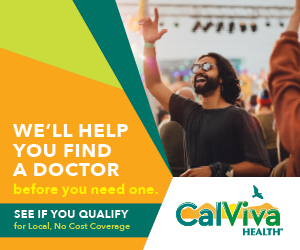 They also help us keep you connected to the latest information, quicker. But as we bring the news to students, The Collegian is in a moment of self-reflection – the same self-reflection that has abruptly consumed newspapers big and small throughout the country. Times are tough for print media. Advertising revenue is down. Reserve funding that once sustained us is quickly depleting. And we fear that student fees alone may not be enough to keep us afloat. It has left us wondering where we may be heading. Former and current editors have done the difficult task of cutting newsroom positions and shrinking the staff to a size that fits the budget. Thankfully, a generous grant from the California Press Foundation last semester helped our staff gain a much-needed upgrade with video and audio equipment. This editorial board worries that our ability to produce The Collegian will be limited and that this newspaper will one day not exist as it has for decades if it doesn’t get the additional funding it needs. 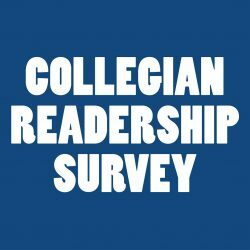 One of the most eventful years for The Collegian, fiscal year 2004-2005, was due to a Student Fee Referendum that ensured funding for The Collegian for the foreseeable future. With a 655-433 vote, students voted to ensure the financial future of their university newspaper. 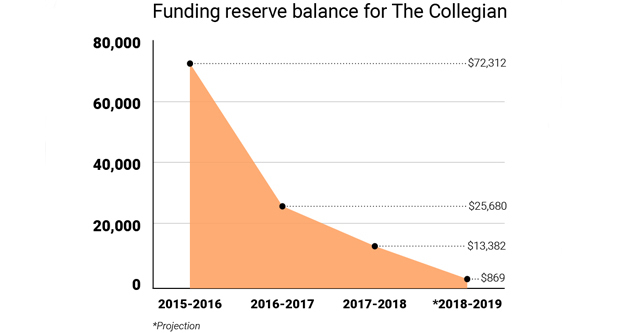 Up until that point, it had been 16 years since the student fee had been raised to fund The Collegian, according to a business report compiled in 2005. The editorial staff in that year is credited with making sure the fee passed. But we can’t forget the students who also helped make it a reality. The referendum made sure that the Fresno State student fee allocation for The Collegian would increase incrementally by $1 per year. In 2005-2006, the fee stood at $1.50. The fee rose to its highest of $5.50 in 2009-2010. Eight years later, while the student fee covers about 80 percent of our costs, that referendum has not been modified to keep up with our current economic state. The cost of paying student staffers to produce the work and keep The Collegian relevant with the latest equipment has gotten more expensive. Pair that with dwindling advertising revenue, which is down 46 percent since the fee last increased, and it’s clear that The Collegian has been operating on a loss for several years now. One projection has this publication operating in the red within a couple of years. Our objective through this apparent recession is to avoid any major lapse in news coverage down the road and to continue to keep our readers – the main stakeholders – informed. It is the student who has been the crucial funding source over the years, and it is the student whom we hope to keep as our loyal customer for years to come. We are encouraged by recent discussions held within the media, communications and journalism department to discuss the future of The Collegian. We have learned that there is promise to keep The Collegian alive in this changing landscape of the newspaper business. 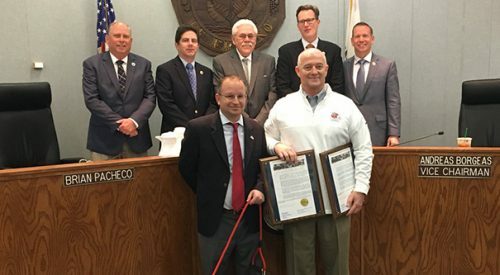 “We’re looking to hopefully make some recommendations to the students who are involved with The Collegian, and also our campus administration, and the wider department itself, about how The Collegian can best be positioned for the future,” said Dr. Bradley Hart, former adviser to The Collegian and a professor in the MCJ department. Hart is leading a task force that will make recommendations about how to keep The Collegian financially stable. Perhaps this can lead to other opportunities in funding beyond the stagnant student fee and our declining advertising revenue. Their recommendations will mainly be given to The Collegian Governing Body, which will include three voting students including the Associated Students, Inc. president. The student voice is crucial for a newspaper that is funded by students. Your voice is welcome in all debates about our future. Collegian General Manager Rich Marshall is attempting to revive the governing body, which has not been meeting in recent years. 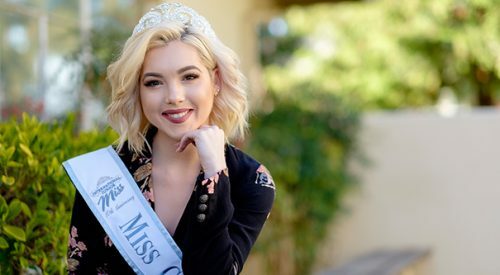 Marshall is in the process of confirming the final voting members. A meeting is expected soon after the body is complete. That body would determine what changes can, or should, be made to The Collegian. MCJ department chair Dr. Katherine Adams has also shown support for keeping the student newspaper open and funded. “We have to find creative ways [to fund] The Collegian so it doesn’t just get by,” she told a reporter recently. There is no doubt that any future outcome for The Collegian should include financial security. This newspaper has been here for nearly a century, and it has been a key aspect of university life. Our ability to inform on a mass level with a printed copy of The Collegian is the charming aspect of what we do. It is a pleasure when we see you on campus reading our work. The student newsroom is a training ground for its current journalism students – and those who just want to see what it’s like to work here – as well as for several local media professionals. The Collegian provides unique experience in an area where student newspapers are few. We hope that this experience can remain for those who have yet to get a taste of student media and for those who, maybe, have not found their calling in journalism or media. We want The Collegian to remain the eyes and ears of its audience beyond our own tenure as editors. We will keep you in the loop as the discussions about the future of your student newspaper continue. Meanwhile, we invite your suggestions and comments. It is clear that a free press, meaning the freedom to report on all aspects of life, is not free. Editorials represent the majority opinion of Collegian editors. Reporter William Ramirez contributed with reporting.